The National Student Clearinghouse is pleased to present the Transcript Ordering Fall 2018 release, which provides the following significant user experience improvements. The new School Select page allows students and alumni to use active type-ahead search to easily locate their current or a former institution from which they need to order their transcript. As students and alumni type the institution name, our application intelligently suggests potential institutions matching the entered text. The number of institution names will continue to narrow down as additional text is entered in the search field. This means your students and alumni will no longer need to scroll through a long list of over 1,000 participating institutions to find your institution. If you would like to request a change to the name by which your institution is identified, or add additional information to your name, such as city or state, please contact your Client Management Representative. 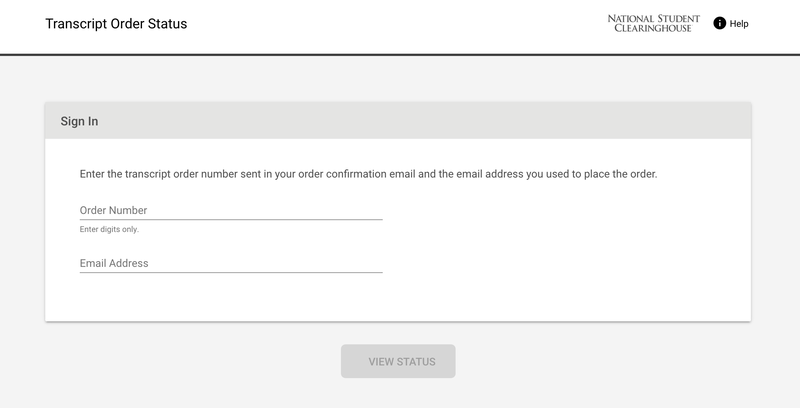 Tracking the status of an order has never been easier than with the new Transcript Order Status module. This new module was designed and developed solely for the purpose of easily and quickly tracking the status of a placed order. 5. A direct link to the tool that can be placed on your institutions website (https://tsorder.studentclearinghouse.org/TrackOrder). The consent form page comes before the payment page to ensure students do not miss this essential step of the ordering process. 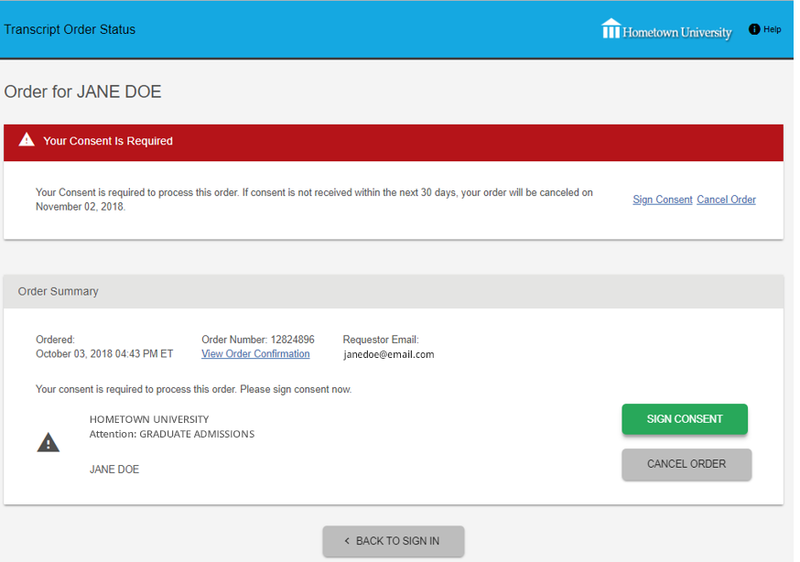 When reviewing the status of an order, your students and alumni can very clearly see if the order is pending because the completed consent form hasn’t been submitted. 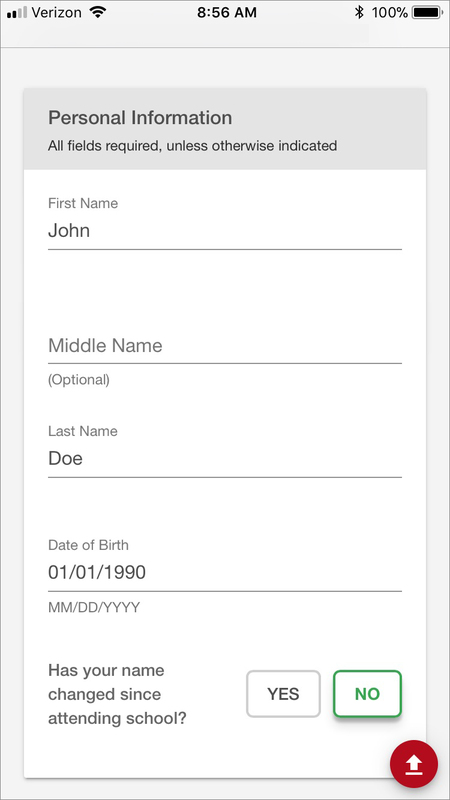 They can also sign or download the necessary consent form easily. The latest version of the Clearinghouse’s Transcript Ordering solution provides your students and alumni with the fastest and only mobile-optimized transcript ordering product on the market, our Next Generation Transcript Ordering Experience. 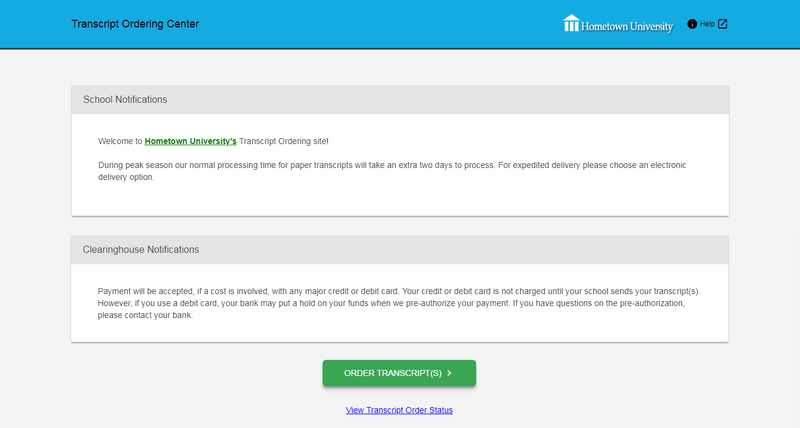 Your students and alumni can order their transcripts on the move using the device of their choice. No matter what size screen is used, our responsive ordering pages dynamically reformat to enable quick and easy ordering without requiring any pinching or zooming. In order to speed up the ordering process and eliminate repetitious information entry, our new ordering site allows students and alumni to use the address, email address and phone number that they provided during earlier ordering steps to populate later steps where similar information is requested, like payment details. Order submission time is further reduced because the ordering site dynamically reveals or hides certain questions and fields based on information provided earlier in the ordering process. Each institution’s Welcome page has been enhanced to more clearly differentiate institution- and Clearinghouse-posted notifications. A dedicated link is also available below the “Order Transcript(s)” button so students can easily track the status of a transcript order using the new Transcript Order Status module. Students and alumni who opt-in to receive order updates by text message will receive them to the mobile phone number provided during ordering. The service now also allows students and alumni to retroactively opt out of text messages by replying “STOP” and request assistance from the Clearinghouse by replying “HELP.” This enhanced text messaging service is available for U.S. and Canadian mobile numbers. Email updates sent to students and alumni now provide quicker access to the information they seek. 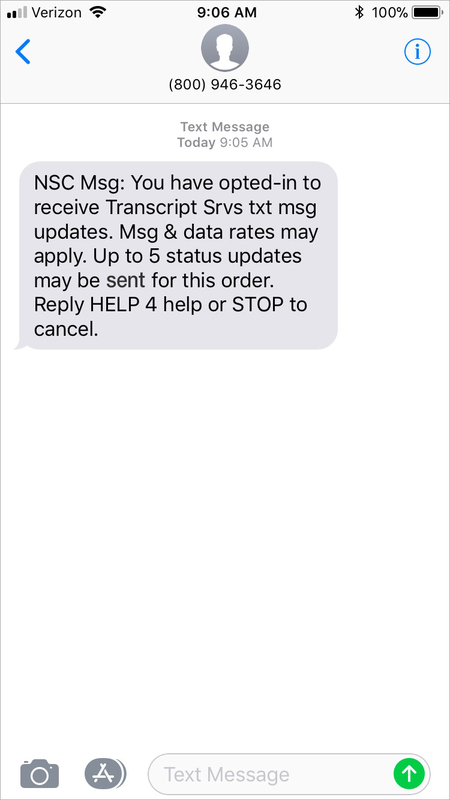 A direct link to the new Transcript Order Status module is available in the Order Confirmation email. If consent was not provided during the ordering process, the Pending Consent reminder email includes a direct link to the Transcript Order Status module, where the consent form options are available. Consent can be provided electronically using a mouse, touchpad, or finger on a touch screen device. Paper consent options are also available. If your institution uses Student Self-Service and only allows access to the ordering site from this secure portal, students will no longer be able to access your ordering site from any other link outside of Student Self-Service. For Ellucian eTranscripts schools, if the requestor enters a previous name, it will be used for student matching instead of the current name. If fees are associated with an order, the requestor will now see the total fee per recipient on the delivery details screen prior to reviewing the complete order.